Final March is a photograph by Joshua Ball which was uploaded on October 6th, 2010. Earlier this summer I had a few unwanted house guests. 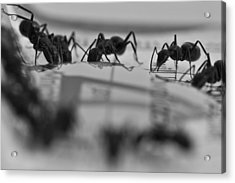 While it wasn�t the first time I�ve had ants in my house, it was the first time that I�ve ever had a problem with carpenter ants. The freedom of finally being done with school allowed me to spend more time working on several home repairs. During these projects, I noted some significant ant activity around the perimeter of the property. That said, it only makes sense that a few of these pests would make their way into the interior of my fortress of solitude. At first I only noticed one or two explorers, but I soon learned the hard way that ants are excellent communicators. I couldn�t pinpoint their entry point nor could I figure out exactly what they were after. I don�t keep a lot food in my home and the majority of the sitings were in my bathroom. After a few days of observation, I came to the conclusion that this particular community of ants was after a generic bottle of blue mouthwash located on my bathroom shelf. Having dealt with ants before, I knew what needed to be done. I still had a bottle of Terro ant killer in my possession and it was time to put it back into commission. This product is pretty amazing as it always seems to do the trick. 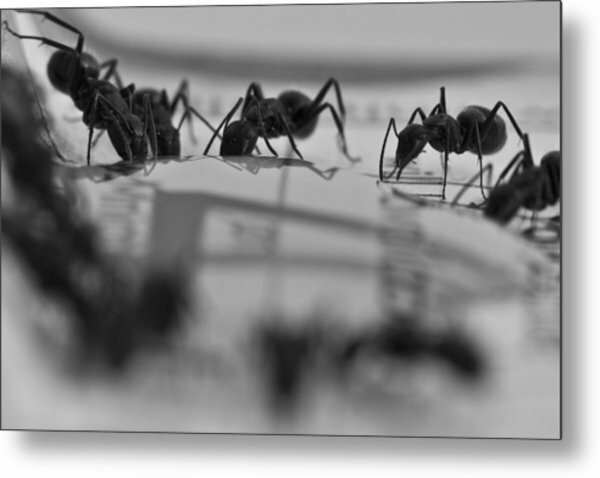 The key to disposing of ants is to disrupt the hive itself. 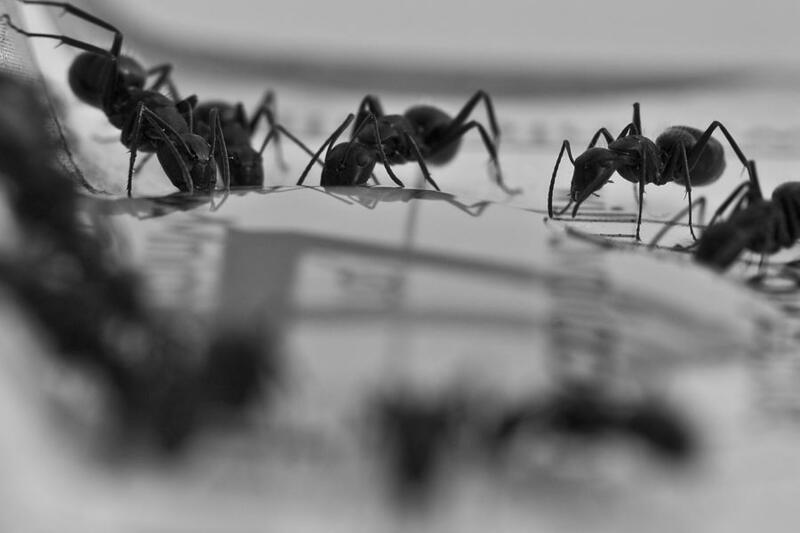 Terro is designed to attract sweat-eating ants and it does just that. They feed on the liquid and then bring some back to the hive for the rest of their community to enjoy. While it can take several days to work, it always seems to solve the problem. On the night that this photo was taken, I generously distributed the liquid on a few business cards and strategically placed them around the mouthwash container. Satisfied with my efforts, I turned off the lights and left to meet a few friends at a local watering hole. Upon returning, I was pretty amazed at the sheer number of ants feasting on the liquid. Instinctively I wanted to kill the pests on-site but in order to truly take care of the problem, I needed them return to their hive and share the sweet poison with their comrades. I spent a few minutes observing their activity and I eventually came to the conclusion that they were coming from beneath the bathtub which indicated that they were entering my home through the crawl space. I remembered my brother Jeff once created a time lapse video from a similar ant infestation in his home. As he eloquently stated, �When bad things happen, I like to make art from it to get something good out of the situation.� Finding inspiration in his artistic ability, I quickly grabbed my camera, attached a 100mm macro lens and went to work. I took well over 100 photos and decided that at least one of them had to be usable. Upon reviewing the photos, I realized that I never really �nailed� the shot that I was looking for. By the time I realized my folly, it was too late to try and recreate the shot as the Terro quickly did its job. Perhaps it was because I was unpleasantly crouched in the corner of my bathroom or perhaps it was because I had such a good time at the local watering hole. Either way, I labored over the photo set for weeks until I finally decided to use this image. The ants seemed almost organized as they lined up around the free meal. They circled the puddle and patiently waited their turn to feast on the poison. I was rather surprised at just how disciplined they seemed to be. Someone once told me that the best camera to have is the one that you are actually going to use. I think that statement seems oddly pertinent to this blog entry. Borrowing some of my brother�s wisdom, I did my best to turn a pest problem into something resembling art. 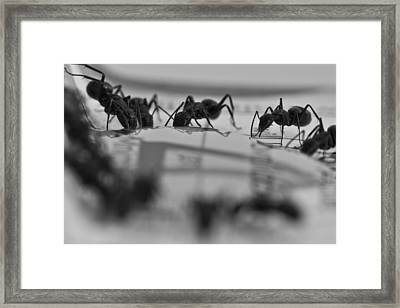 Although I labored over the photo set, I am ultimately satisfied with this image and I think it provides a unique �ant�s eye view.� While I don�t enjoy causing harm to any living thing (except spiders��I hate spiders), these ants were invading my home and they had to be dealt with. After staring at this image for several minutes, I came to realization that the behavior of these insects parallels our own in a strange sort of way. While the source of their activity was pure poison, they couldn�t help but to generously feed upon it. Humans often do the same thing; the only difference is that we usually know that our activities will yield negative results. We all have vices, and we all partake in things that are not in our best long-term interest. Whether it�s a bad relationship, a smoking habit, an addiction to drugs or even something as simple as our food choices; we often know the potential consequences of our actions. Perhaps this is one of the things that separates our species from the rest of the animal plant; we openly partake in self destruction. 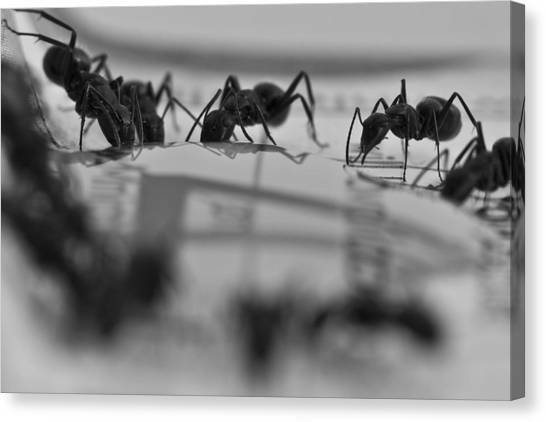 These ants likely didn�t know what would happen from feeding on the poison, they simply acted on the instinctual interests of the hive. We all have to battle our own demons and it�s a perpetual uphill battle.